Right from when I was a little girl. I was obsessed with luscious hair flowing like a carpet. However, my childhood dreams were quashed in this adult world by desires of having them curled, straightened and coloured. Hairfall was the biggest misery of my life. From the sink to the bed my hair was everywhere. However with the fear of losing it all to pollution, diet, and chemicals. I did a complete detox from all the styling and treated my hair with all the care. The age-old oiling tip from my grandmother opened a box of secrets for me. Healthy hair reflects a healthy body. Your hair is in an unhealthy condition and lost its sheen. This due to the lack of essential internal nutrients as well as external maintenance. However, with care and attention, you will be able to restore its vitality and glossy sheen once again. I was able to combat hair fall and increase my hair vitality with these simple tips and home remedies. Increasing Vegetable intake – Vegetables are a rich source of Iron and Vitamins, which are important for healthy hair. Drink Fruit and Vegetable Juices daily – For the loss of hair, regular consumption of carrot and protein shakes containing green leafy vegetables. This supplies the essential nutrients to the body, which further nurtures a healthy scalp. Every cell in our body depends on proper hydration and consistent water supply, including the ones in your hair follicles. If your body is too dehydrated, your cells will cease to regenerate and repair themselves, which will hinder them from working properly. This also, in turn, has an effect on the vitality and hair growth. As hair growth requires stimulation and circulation hydration acts as a key ingredient. Wash Your Hair after Swimming, Chlorine, and saltwater leave your hair brittle and dry. This makes it prone to breakage. Wash your hair with lukewarm water before swimming and always use a swimming cap. after swimming immediately wash your hair to rinse the chlorine out of it. The longer you let salt or chlorine to stay in your hair, the more damage your hair will suffer. Constantly styling your hair at extremely high temperatures can cause immense damage from the roots to the tips. Heated styling tools such as curlers, flat irons, and blow dryers can make your hair brittle and cause breakage. It, in turn, weakens your hair follicles and hinders the growth of fresh and healthy hair strands. 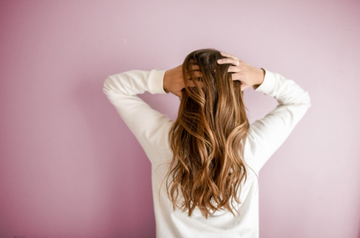 Although many people like to run a comb through their hair or tie it up after it’s been freshly washed, it’s inadvisable to style your hair while it’s still wet. Your hair is at its weakest when wet and styling it will put a lot of pressure on the follicles, pull the strands out prematurely, and lead to breakage. 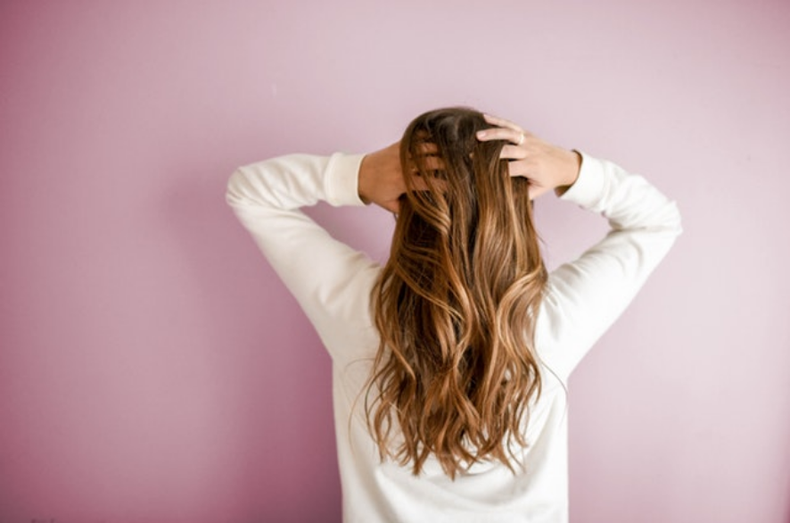 Using a harsh bristled brush on your hair can add a lot of unnecessary pressure to your scalp and hair follicles, as the bristles tend to pull your hair strands back very tightly. This can cause hair to weaken and fall out prematurely. It’s better to use a brush with soft bristles that are made of all-natural materials. All these effective changes in your lifestyle can help with the revitalizing your hair. The secret to stronger and healthier hair also lays in how much attention and care you provide it with. These days the market is filled with masks and tonics. These are nothing but a blend of chemicals that will tear your scalp down. Home remedies are much more effective without damaging your hair and are cost effective. It's very important to always understand what we are putting on our hair. Constant use of chemically dense products will always result in hair issues. The change in lifestyle has to balance with a change in what products you use on your hair. Here is a list of 11 home remedies from our grannies times that you can use. Coconut milk ranks as the most effective home remedy for hair fall. It's full of nutrients that transform the health of your hair and scalp. You should scrap the coconuts with a blender and get the extract. Massage your hair with the coconut milk for about fifteen minutes. Wash your hair off and let it dry. Repeat this weekly for better results. After the fourth wash, you will see, drastic change in your hair fall pattern. Honey can do wonders for your hair. It is an elixir for damaged, dry and diminishing hair. Apply 2-3 drops of honey to your shampoo. Massage the shampoo on to your scalp, rinse after 2-3 mins. It is the secret to voluminous hair. Mix one tablespoon of apple cider vinegar with warm water. Apply to your hair after shampooing, rinse after 5 mins. The remedy will show drastic results from the first use. This is the age-old remedy used for hair fall. It's accessible on the kitchen racks. Take 2 tbsp of fenugreek plant seeds put them in water overnight. Grind them to make a paste. Apply the paste on your scalp for 30 mins. Rinse completely and let your hair dry. Oil massage is one of the guaranteed remedies for hair fall. The oil massage promotes the circulation of blood under the scalp. This stimulates the hair growth process. Coconuts oil, amla oil, or jojoba oil to help your hair get smooth and strong. Take some drops of oil to your hand and massage it onto your scalp and hair. Put it on for 30 mins and then wash off your hair with warm water. Amla is rich in vitamin C which helps to make your hair stronger. Take coconut oil with the dried amla. Heat them in medium heat until all the mixture turns black in color. Let the mixture cool down. Then massage the mixture to your hair and scalp. Leave the mixture for about thirty minutes and wash off with the warm water. You will need 50 ml alcohol and a teaspoon of pepper. Pour into a cup of warm water. Apply the mixture to your hair after you shampoo your hair. Wash off your hair with warm water. Use this remedy only one time a week. Your hair fall will be reduced soon. One of the highly effective home remedies for hair fall is the combination of onions and honey. Cut one onion into two pieces and take the track from the onion. Mix the onion with ten ml honey in a bowl. Put some oil like lavender oil to add in some nice smell to your hair. Wash your hair with warm water. Bananas form the best natural remedy for damaged hair. They are full of potassium, that increases the vitality of the scalp. Mash the bananas in a bowl and apply the mixture on your hair, start from the root to the tip of your hair. Keep it on for 20 minutes and clean it with a great hair cleanser. The procedure can be helpful in treating harmed and dry hair. Eggs are used as one of the most effective home remedies. It is highly effective to get smooth and healthy hair. Blend the yolk of eggs with 1 tablespoon extra-virgin versatile olive oil, 3 egg yolks and 2-3 drops of nutrient E oil. Keep it on for 10-12 minutes and after that rinse your hair completely with hair cleanser. Mayonnaise tastes incredible as well as is most effective to use on your hair too. Mayonnaise fills in as a boost for hair. Wet your hairs and actualize mayo. Keep it on your hair for 20 mins. This is the finest kitchen remedy to stop hair loss and promotes hair regrowth. Beetroot is rich in phosphorous, calcium, protein, potassium, carbohydrates, Vitamin B and C. These are very essential nutrients for hair growth. Add beetroot leaves to your scalp and hair. Boil the beetroot leaves in water and make a paste. Apply this thick paste to scalp and leave it on for 30 minutes. Rinse off with water. Follow this procedure at least twice a week for better hair growth and quick results. Using all these effective remedies will help you get the mane that actually looks like the crown of your body! How frequently must one apply these remedies to their hair? How many got benefited let me know with which remedy with age.